Uncommon Journeys is taking reservations for a novel and exclusive train trip for Spring 2015, “Canadian Panorama” that combines a journey across Canada aboard one of the last classic passenger trains in North America, the legendary “Canadian,” a vista-dome train with dining cars under glass. This 13-day journey, offered only once, features a five-night visit to the Canadian Rockies in addition to deluxe hotel stays in Niagara Falls, Toronto and Vancouver, offering passengers the best of Canada and the Canadian Rockies. Guests journey in comfort and elegance aboard the beautifully restored art deco splendor of the “Canadian.” complete with sightseeing, a tour manager, stylish dining, transfers. The 13-day “Canadian Panorama” trip begin at $4,995 per person and guests who reserve by Sept. 19 will qualify for free Amtrak travel from any city in the country to Niagara Falls and for the special air travel add-on fare of $199.00 per person for travel to Niagara Falls from over 189 major U.S. cities. The Uncommon Journeys adventure begins in Niagara Falls with an overnight stay at the Sheraton at the Falls, a choice location with plenty of free time for enjoying such a lovely setting. Guests journey to Toronto the next day and enjoy a full day of sightseeing coupled with an overnight stay at the Four-Diamond rated Westin Harbour Castle with special welcome dinner at the stylish Canyon Creek Grill. Guests then board the vista-dome liner “Canadian” at Toronto Union Station for a three-night journey west to Jasper in the Canadian Rockies. Passengers are treated to superb “Silver & Blue” first-class sleeping car accommodations, fine dining in the last real dining cars in North America (all meals on board are included), the famous “Park Car” with its upper level vista-dome, the round-end “Bullet Lounge” and the swank “Mural Lounge” for cocktails- a grand way to cross the continent. At Jasper, guests have an overnight stay with visits to Maligne Lake and Maligne Canyon before a spectacular tour of the Rockies including the stunning Columbia Icefields Parkway from Jasper to Banff. Also included is the famed sno-coach ride atop Athabasca Glacier, a continued favorite among guests. In Banff, guests are treated to the rare luxury of a four-night stay complete with sightseeing of Lake Louise, brunch at the legendary Chateau Lake Louise, seldom-visited Moraine Lake and a visit to the famed Banff Hot Springs. The final stage of Uncommon Journey’s cross-Canada journey is a final night aboard the “Canadian” between Jasper and Vancouver with daytime viewing of the Rockies from the vista-dome cars- the most scenic way to tour this area. Upon arrival in Vancouver guests enjoy an overnight stay at the Hyatt Regency Hotel with a city sightseeing tour and a special Farewell Dinner before traveling home by train or air. The 13-day “Canadian Panorama” trip begin at $4,995 per person. Guests who reserve by Sept. 19 qualify for free Amtrak travel from any city in the country to Niagara Falls and for the special air travel add-on fare of only $199.00 per person for travel to Niagara Falls from over 189 major U.S. cities. For more information or reservations, visit www.uncommonjourneys.com or call 800-323-5893. From August 1 to September 30, 2014 Eurail is offering non-European residents additional free travel days on the Eurail Global Pass Continuous and 4-Country Select Passes. The free travel days are intended to enable passholders maximize their travel experience by discovering even more of Europe by train. The number of extra travel days depends on the type of pass: the campaign offers one extra travel day for the 4-Country Select Pass, two extra travel days for the 15-day Global Pass Continuous, three extra travel days for the 21-day Global Pass Continuous and five extra travel days for the one month Global Pass Continuous. This special offer is applicable to all product variations for both first and second class. Since passes are available within a six month pre-booking period, Eurail customers can take advantage of the promotion until April 2015, and take advantage of off-peak travel. Eurail’s Extra Days promotion runs alongside Eurail’s “Free Roaming” promotion, launched on July 7, offering the first 2,500 Eurail Select and Global Pass customers who register their pass purchase on www.eurail-roaming.com a Eurail Free Roaming SIM Card with a pre-paid credit of 18 Euros. Eurail Passes are available from a worldwide network of Authorized General Sales Agents. Please visit www.eurailgroup.org/eurail. 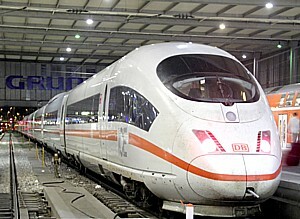 Established in 2001, the Eurail Group G.I.E. is responsible for the marketing and management of the InterRail and Eurail Passes, providing unlimited rail travel across Europe. The organization is based in Utrecht (the Netherlands) and is wholly owned by 30 railways and shipping companies.The Group also has many partners including hotels, transport companies and museums, which offer their services either at a reduced rate or free of charge to rail pass holders. Eurail launches the “Free Roaming” summer promotion and makes it easier for pass holders to stay connected with friends and family while traveling in Europe. The first 2,500 Eurail Select and Global Pass customers who register their pass purchase on www.eurail-roaming.com can apply for a Eurail Free Roaming SIM Card. This offer is valid on all categories and classes of the passes purchased from July 7 to September 30, 2014 or as long as supplies last. “Eurail is committed to adding value to its’ Eurail Pass products. The free Eurail SIM Card offer is one more customer cost-saving initiative to help pass holders stay connected while traveling in Europe. This promotion offers our customers the unique opportunity to avoid costly Wi-Fi or roaming charges,” explains Silvia Goerlach, Eurail Group Sales and Marketing Manager. The Eurail Free Roaming offer includes a prepaid, pre-activated +44 (United Kingdom) and +1 (United States) SIM Card which provides free incoming calls(a surcharge of € 0.20 per minute is charged for US numbers) and 200 minutes of free Wi-Fi at selected Premium Hotspots. Additionally, the customer can freely combine up to 100 minutes of international calls, 300 text messages or up to 100 MB of data as long as the prepaid credit lasts. Once the prepaid credit has expired, the customer can recharge the Eurail SIM Card, and take advantage of the same attractive Eurail Roaming conditions. These are offered via telecommunications partner Global Roaming, which works with 67 operators in Europe and is one of the worldwide leading providers in mobile communication services. The Eurail Roaming SIM Card has coverage in 30 European countries, including all those participating in the Eurail Pass program. The Free Roaming Summer Promotion is valid for holders of a Eurail Global Pass, valid in 24 member countries or a Eurail Select Pass valid in four Countries. The Eurail Global Pass continues to be the most popular pass in the Eurail portfolio. It covers nearly the entire European continent and offers travelers the largest variety of countries to choose from. Eurail Group G.I.E., the organization dedicated to the marketing and management of the Eurail Passes, is wholly owned by over thirty participating railways and shipping companies. 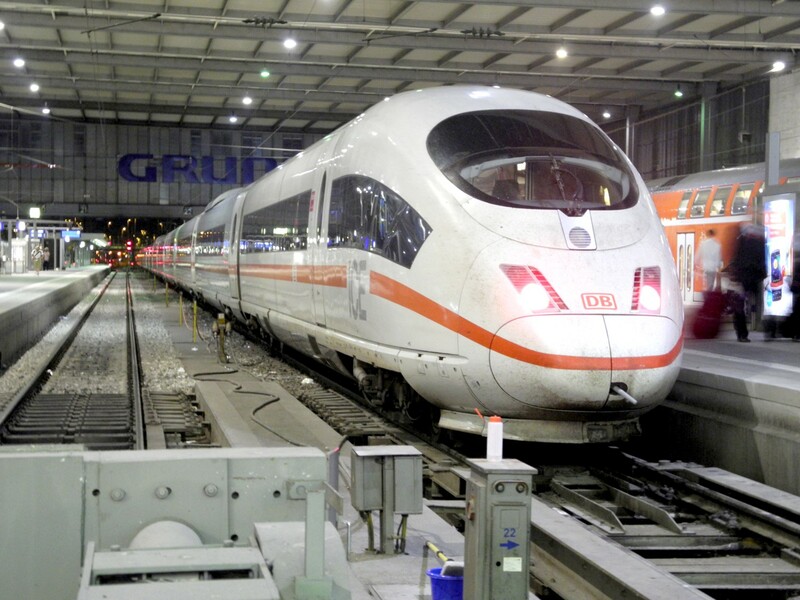 Eurail Group has many benefit partners, including hotels, transport companies and museums, which offer their services either at a reduced rate or free of charge to rail pass holders. Eurail Pass travelers can now take advantage of the “Mediterranean Deals” promotion, adding one free travel day to the Italian One Country Pass and one free travel day to the Regional Passes France-Italy, France-Spain and Italy-Spain. The offer is valid for any variations of these products purchased through April 30, 2014. As France, Italy and Spain count themselves among the most popular European tourism destinations, Eurail wants to entice its non-European customers even further by offering these special “Mediterranean Deals.” The French, Italian and Spanish railway companies offer an extensive and modern rail network, making traveling by train comfortable, relaxing and hassle free. Moreover, these Eurail Passes provide the traveler with the flexibility to choose from a selection of available travel days and dates, within a period of two months. In March, Eurail announced that France will return to a revamped Eurail Select Pass after a one year absence. The Eurail Select Pass re-launches as a Four-Country Pass only. Starting on April 1st, only Four Country Select Passes can be purchased, with France as one of the 26 Eurail countries to choose from. Eurail offers four types of Eurail Passes as part of its product portfolio to those residing outside of Europe: the Eurail Global Pass valid in 24 member countries, the Eurail Select Pass, the Eurail Regional Pass and the Eurail One Country Pass. Eurail Group G.I.E., the organization dedicated to the marketing and management of the Eurail Passes, is wholly owned by more than 30 participating railways and shipping companies. In addition, Eurail Group has many benefit partners, including hotels, transport companies and museums, which offer their services either at a reduced rate or free of charge to rail pass holders. Travelers can take advantage of a special Eurail “Early Bird” promotion which offers non-European residents free travel days on Eurail Global Passes purchased from February 1 through March 31, 2014. Early Bird Passes have a six month pre-booking period and include 15 days, 21 days and one month periods. This promotional offer applies to both first and second class Eurail Global Passes and are open to all travel categories: Adults, Child, and Youth, including Saver Passes intended for groups of two to five people, offering an additional15% reduction. The “Early Bird” campaign offers two extra travel days for the 15-day Eurail Global Pass, three extra travel days for the 21-day Eurail Global Pass and five extra travel days for a one month Eurail Global continuous Pass. “Last year’s Early Bird promotion proved very successful, boosting sales in March of the Global Pass by an astounding 96%. The opportunity to receive extra travel days motivated nearly twice as many customers to buy the Eurail Global Pass. This year we expect even more travelers to take advantage of this promotional offer. The aim is to maximize the customer’s travel experience by offering these extra days to discover even more of Europe by train,” explains Silvia Goerlach, Eurail Group Sales and Marketing Manager. Generating over 55% of total sales revenues, the Eurail Global Pass continues to be the most popular pass in the Eurail portfolio. With its 24 participating countries, it covers nearly the entire European continent (including free or discounted travel on some major shipping lines) and gives travelers the largest variety of countries to choose from. The diversity of Europe is easy to explore via rail with the Global Pass, from historic and quaint world heritage sites to back-country nature sites and architecturally striking and historic capital cities. Eurail Passes are available from a worldwide network of Authorized General Sales Agents. Visit www.eurailgroup.org/eurail. Eurail Group G.I.E., the organization dedicated to the marketing and management of the Eurail and InterRail Passes, is wholly owned by 30 participating railways and shipping companies. In addition, the Group has many benefit partners, including hotels, transport companies and museums, which offer their services either at a reduced rate or free of charge to rail pass holders. Travelers can take advantage of a 20% discount off the regular price of Eurail Global and Eurail Select Passes booked from November 1 through December 31, 2013. The Off Peak promotional passes can be used for European rail travel until March 31, 2014 and are open to all travel categories: Adult, Child and Youth, including Saver Passes intended for groups of two to five people with a further 15% reduction, and for both first and second class travel. “Due to the success of last year’s Off Peak promotion, we are confident that this special offer will attract more travelers to Europe during the upcoming winter season. Not only can tourist’s benefit from a discounted Eurail Select or Eurail Global Pass, they’ll notice fewer crowds when visiting popular tourist attractions” explains Silvia Goerlach, Eurail Group’s newly appointed Sales and Marketing Manager. At this time of year pass holders choose to visit European Christmas Markets, experience the Northern Lights in Scandinavia or head towards the Mediterranean where the temperature is warmer. Traveling from one city centre to another, tourists can absorb the European landscapes and enjoy the comfort and stress free environment of travelling by rail. Eurail Global Passes are valid for travel all over Europe in 24 countries and offers the independent traveler the flexibility to create their own itinerary whilst hopping on and off trains across Europe. The Eurail network encompasses to 233,000 kilometers of track (144,000 miles) on the European continent. Nearly 96,000 passengers have already travelled with the Eurail Global Pass this year, representing an increase of almost 30% over 2012 figures. Eurail Group G.I.E., the organization dedicated to the marketing and management of the Eurail and InterRail Passes, is wholly owned by thirty participating railways and shipping companies. In addition, the Group has many benefit partners, including hotels, transport companies and museums, which offer their services either at a reduced rate or free of charge to rail pass holders. Train-loving photographers could have their work on display at one of the most popular train-oriented attractions in the world. The Golden Spike Tower & Visitor Center, overlooking Union Pacific’s Bailey Yard in North Platte, Nebraska, has announced its first-ever photography contest—and the rules are pretty simple. The winning photo, selected by a panel of judges, will be enlarged to an 18″ x 36″ print, framed and placed on display in the main entry area of the Golden Spike Tower for one year. The photographer’s name and hometown will be prominently noted as well. The winning photograph will be announced in September. Entries will be accepted through July 31, 2013. Online entry and contest details are available at www.goldenspiketower.com/photocontest. Cost is $25 per entry. Photos can be black & white or color. The Golden Spike Tower & Visitor Center provides a panoramic, eight-story high view of Union Pacific’s Bailey Yard in North Platte, Nebraska, which claims to be the world’s largest rail yard. For information, visit http://www.goldenspiketower.com.